Soak tamarind and extract the juice and discard the pulp. To the tamarind juice, add water(about 2 cups), turmeric powder, rasam powder, asafoetida, salt, along with chopped tomatoes, mix well and bring it to boil. 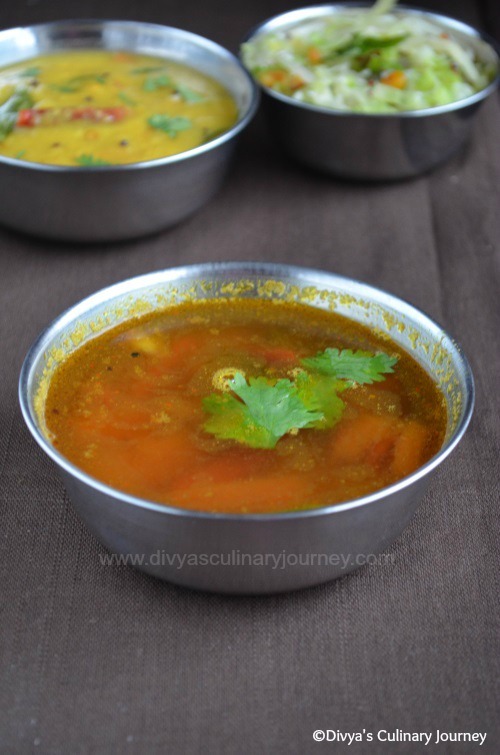 Now add the mashed dal, check the consistency, if needed add more water, then mix well and wait till the rasam starts to froth and then turn off the heat. In another pan, heat oil, add mustard seeds, cumin seeds and when they sputter, add curry leaves and fry for a minute or two, then turn off the heat and add this tempering to the rasam and mix well. Adjust the amount of rasam powder according to your taste. While tempering, you can add red chillies too. Dal settles at the bottom, so while serving mix well and serve along with Dal. 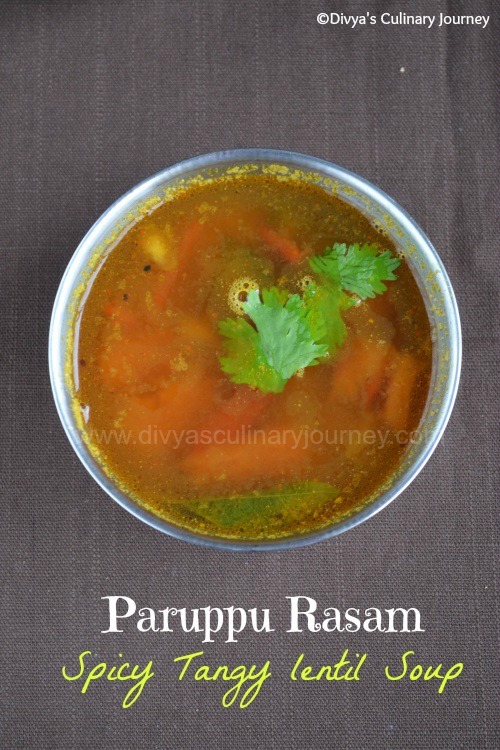 paruppu rasam my fav looks super delicious and yummy :) makes me hungry dear !! my fav one, looks good.